This is a slightly unusual post. By way of background, a large number of my #LymeRunners group are taking part in this year’s RunUp2Christmas fundraiser for MIND. Whilst quite a few have GPS running watches, not all do. The whole concept of digitally recording a run is totally new to some of the group. 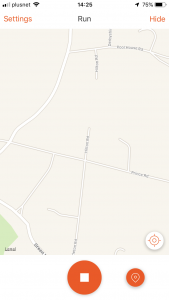 As #RU2C is evidenced electronically, I thought I would put together a crash-course in using the free version of Strava on a (relatively recent) smartphone for this purpose. 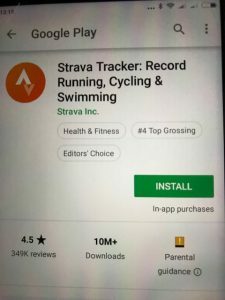 So if you’ve never used Strava yourself, have a look through this and hopefully by the end of the post you’ll know how to use it too. 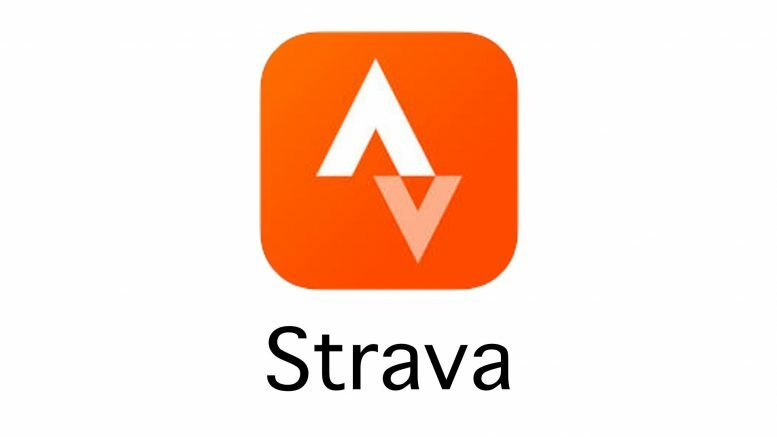 It’s worth noting that whilst lots of people use Strava, there are several other apps which work in exactly the same way. This isn’t sponsored by Strava, nor am I affiliated with them in any way. I tend to use it because most of the athletes I know also use it. And it’s nice to see who’s getting up to what, as well as a chance for me to look and see what routes people are taking as it’s a way of finding new runs to do myself. 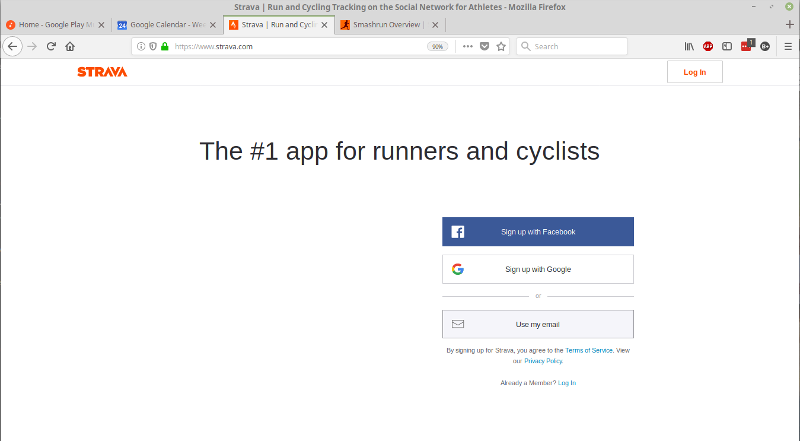 The first step for me was to go to the Strava website on my computer in order to create an account. 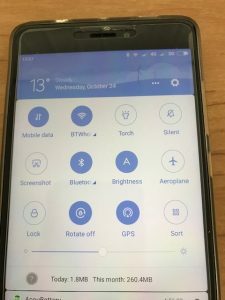 In fact you can do this on your mobile phone using the app (see below for installing that), but I got stuck in a loop of being unable to get through the security check where you’re selecting specific images from a list, whereas it worked first time using the website on the computer. You’ll then be presented with a form to complete your details. 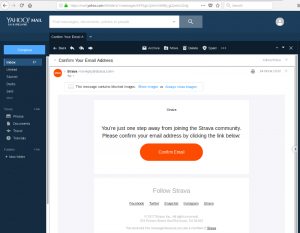 I prefer to do everything via email rather than sharing the information across different social media. Basically I don’t trust Facebook with sharing my data. And likewise Google! 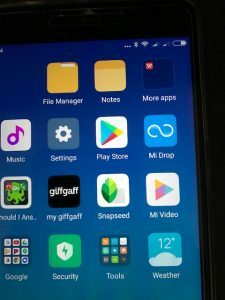 Don’t worry about the ‘in app purchases’. The free version does all the basic tracking but there’s a paid-for option that gives you more metrics that you might use, but probably won’t unless you really like to drill into the data. As we’ve already created a log-in above, you can go to the ‘Already a member? Log in’ option at the bottom. Of course you could set up your strava account from here alone, but for some reason when I tried it things all went awry! But it should work. 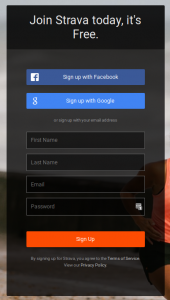 Input your log in details and you should be into the Strava home screen. But first, a quick aside! 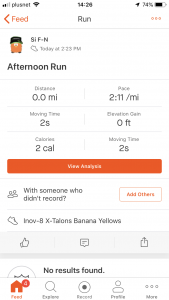 In order to use Strava to track your runs, you’ll need the GPS to be turned on inside your phone. A lot of the time it already is, but it’s worth a check to make sure. 3. If not you may need to swipe down again to access Quick Settings. OK, that should be the App installed, Strava account created and phone primed and ready to go. That’s really the complicated bit done! the bell icon is a notifications thing to let you know about something. It’s very similar to the bell icon on Facebook. The ‘Record’ button is how we start and stop our recording so I’ll come back to that. The ‘More’ button give you access to further settings. Perhaps the most useful one in there (under settings itself) is the ‘units of measurement’ option. You can choose to see things in miles or kilometers depending on your preference. Of the other options, if you choose to get a GPS watch down the line, you can link it up to your Strava account in here too. 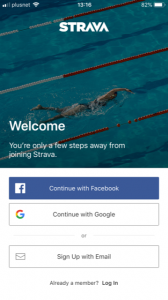 So it’s all very familiar if you use Facebook or other social media options as that’s very much what Strava is trying to be, albeit fitness related. 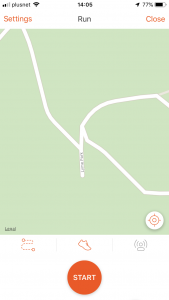 Assuming your GPS is working, you’ll get a blue-dot on the map showing where you are and you should get a message at the top of the screen stating that GPS has been acquired. 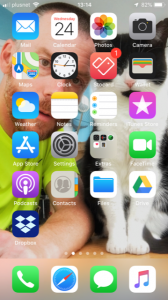 (In fact if you look in the top right hand corner next to the battery % you’ll be able to see the iOS location services arrow icon displayed, demonstrating Strava is using the GPS). It may take a few seconds to find its position. 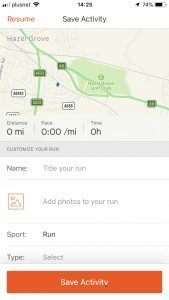 Now, as Strava knows I’m a runner, it has already selected that I’m about to go for a run – can you see the shoe icon above the ‘start’ button? 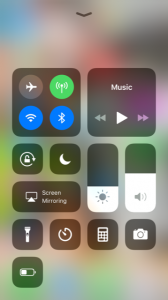 If you click that icon it’ll give you a choice of different sports and the appropriate icon will appear there. Once you’re ready, click start and then go for a run. If it’s the first time you’ve used it it may put up a warning which is essentially to be careful not to get run over etc! Put your phone somewhere safe so you can’t drop it or lose it whilst you’re having a run. And essentially you don’t need to think about the phone any more until you are ready to finish your run. What you’ll get is a screen showing your route, the distance, pace, time etc (I was sat by the computer when I was putting this together, hence all the figures are zeros!). Give the run a name and if you’ve taken any photos whilst out running you can add them to the post. 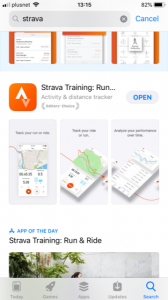 When you’re done, press the big ‘Save Activity’ button to save your run to Strava. Once you see this screen, you’ll know the run is saved onto Strava. 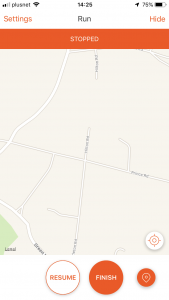 If you click on ‘Feed’ at the top of the screen, it’ll take you back to the home screen of Strava. 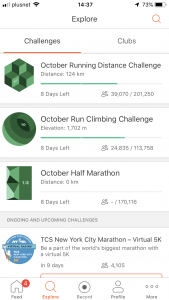 If you click ‘View Analysis’ it’ll give you a load of information about your run including the hills you’ve run up, the distance you went, and how quick you were going. Hopefully that’ll get you started in recording your runs. Strava can do a fair few interesting things on top of the basics, but that’s beyond where I want to take this post. 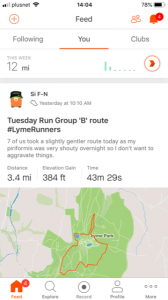 Be the first to comment on "Run up to Christmas – using Strava"